WhatsApp <6950 0453> Click Here! SMS <8332 3034> Click Here! You’ve just bought your new MacBook Pro a year ago, and now you’re here, looking for ways to repair your cracked or broken MacBook screen. Well, you’re not alone, and in fact, a broken screen is the most common problem that Apple users encounter in regards to damage. 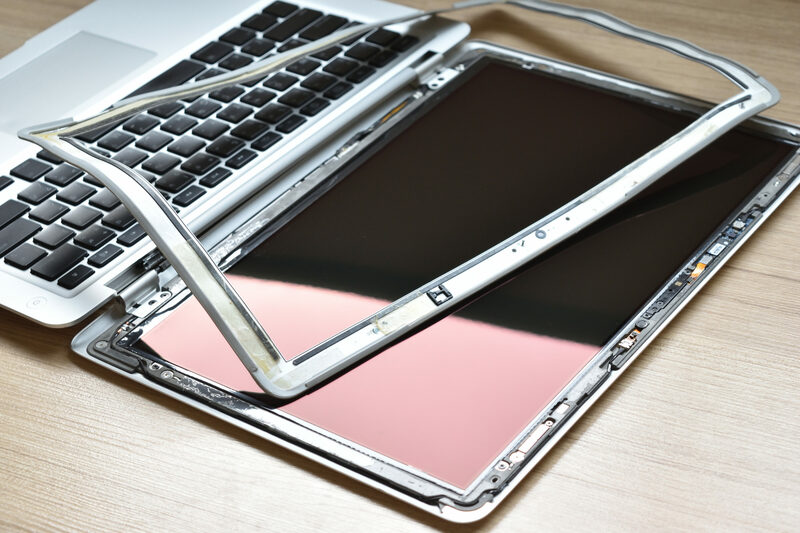 Dropping a MacBook is probably the most common way of breakage and inevitable malfunctions. Another common way of breakage is if you personally end up falling or slipping – you’ll damage your MacBook if it drops on the floor. Therefore, if you don’t have a protective case for it, your MacBook is most likely damaged. It might not look like it, but it’s definitely scarred internally. We’re not telling you to not have children. Although, children are definitely a large scale reason of why MacBooks need repairs. The typical MacBook lasts around 5+ years. If you have kids that use it, however, that lifespan is bound to decrease. This happens more often than you think. One moment, you’re watching Netflix with your earbuds in, and another, you’re shutting your laptop lid while the earbuds are still present on the keyboard. This is definitely going to hinder your screen, if not break it all at once. At their respective times, the older MacBook Pros that had undergone accidental damage without any sort of warranty cost $500. Liquid damage was even more expensive, at a grueling $700, you might as well just get a new laptop. In essence, repairs through Apple’s services are extremely costly. These costly prices aren’t limited to just screen repairs and replacements. In Apple’s recent line of MacBooks, a man had actually reported having spent around $475 to fix his MacBook Pro’s “s” key. We’ve compiled an average cost from numerous websites for screen repairs and replacements. The prices are quite steep. As you can see, fixing Apple’s new line of MacBooks is quite costly, even from a third party, and at around $350, Apple’s “AppleCare Protection Plan for MacBooks” isn’t cheap either. In the unfortunate case of a broken MacBook screen without apple’s plan, you’re looking to pay around $500 for a replacement. Although, there are places you can get repairs/replacements for even cheaper, despite not having Apple’s Protection Plan. Why My Macbook Is Not Charging?